An original painting and prints of Loch Lomond at dusk through Birch Trees and woods, Scotland. Paintings & prints of Loch Lomond Dusk Through The Birch Woods, Scotland by Scottish landscape painter Andy Peutherer. 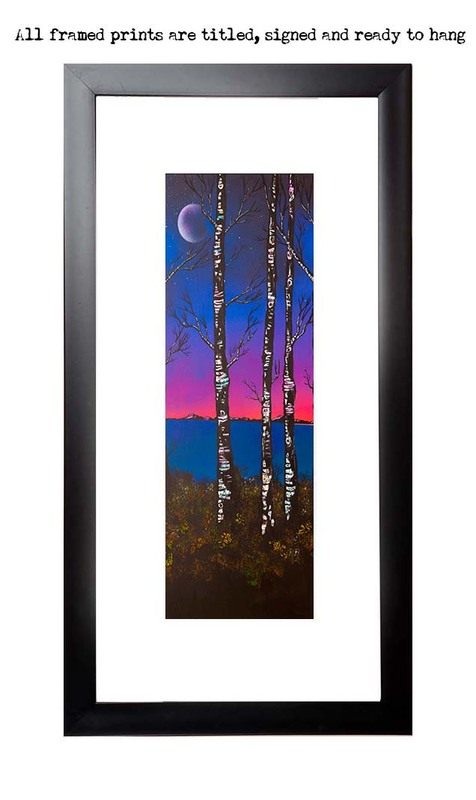 Framed prints of Loch Lomond Dusk Through The Birch Woods, Scotland by Scottish landscape painter Andy Peutherer.